This is the anchor location for About Our Course. Do Not Delete! 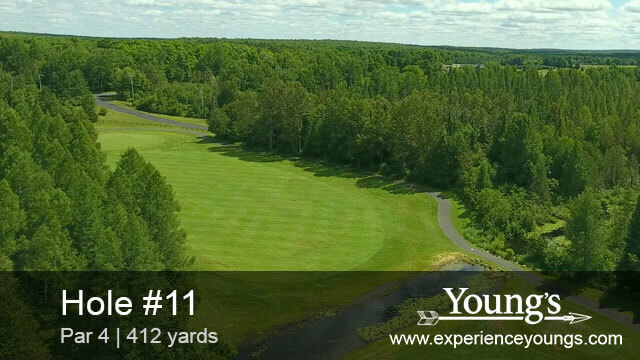 Golfing at Young’s 18-hole championship course is a special experience. 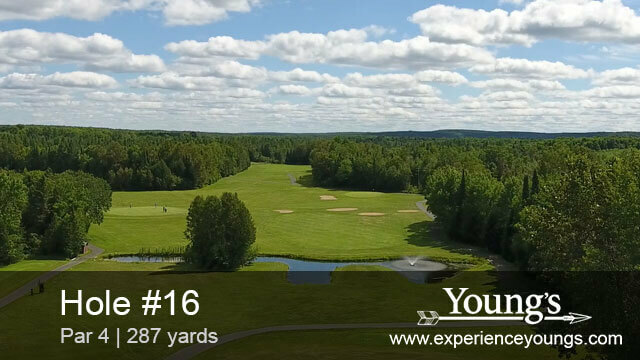 Pristine greens, views of shimmering Chicaugon Lake and the serenity of beautiful Upper Michigan forests elevate your golfing experience. Whether you’re planning a golf outing for a foursome, a party of twelve or a charity golf tournament, an exceptional time awaits you in Iron River. Plan your Young’s golf outing and prep your golf game with our virtual caddy experience! Keep scrolling to get tips and experience a fly-over of each hole! 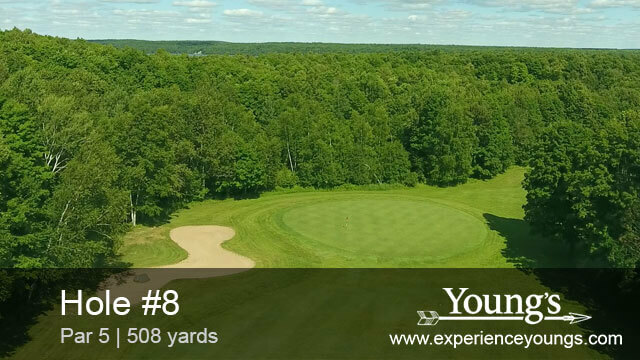 Young’s was founded by George & Margaret Young, who generously donated their 3000+ acre estate and established a trust so it could remain an affordable golf and recreation destination for visitors and residents of Iron County. Our management and staff continue this mission with a focus on gracious service and maintaining an atmosphere that welcomes golfers, swimmers, and outdoor enthusiasts of all ages. In keeping with the Youngs’ vision, Iron County residents enjoy discounted greens fees and membership rates, and Iron County juniors (18 and under) golf for free. 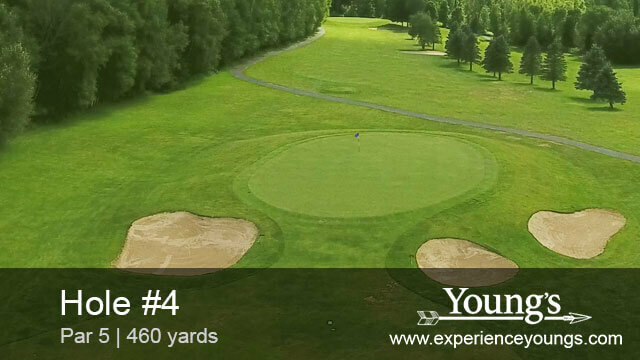 Description: Dogleg left - the second shot is into an elevated green with bunkers to the right and left of the green. 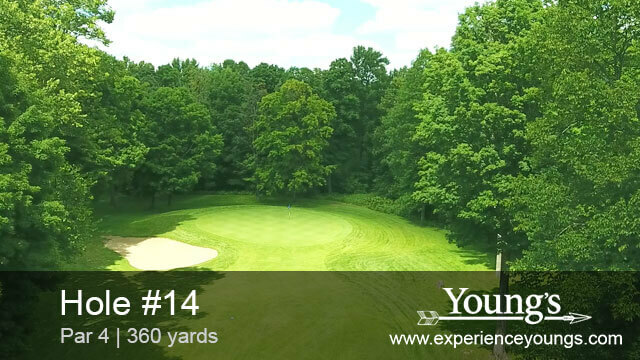 Description: Watch for the large fairway bunker on the tee shot. This is a large green with a fair amount of back-to-front slope. Avoid missing long with your second shot. Green-side bunker to the right. Description: Plays at least ten yards shorter than the distance. The green is guarded by two deep green-side bunkers. The right one-third of the green is severely sloped and most balls will roll off the green if your tee shot lands there. Description: This hole has a large fairway with only one bunker on the right. A good drive will give you the chance to easily reach in two. The green has three green-side bunkers, so do not miss short. Description: Avoid the fairway bunker on right. A good drive will allow an approach shot with a short iron. Description: This hole plays uphill, and you must decide if you will carry the two fairway bunkers or lay up short of them. Your second shot will play slightly longer due to the slope. Avoid the green-side bunker to the right. 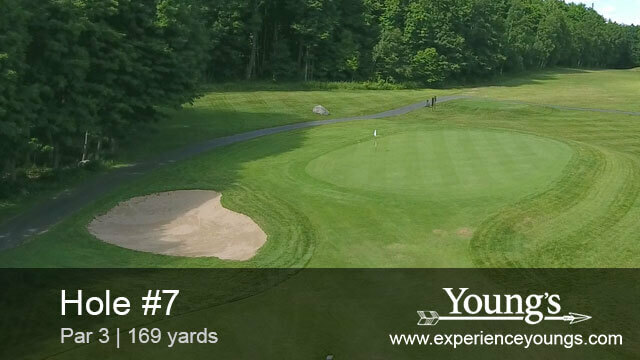 Description: One of the more challenging par 3's, it is a blind uphill tee shot to a severely sloped back-to-front green. Avoid the green-side bunker on the left at all costs. Description: You can lay up to the top of the hill or choose to bring out the driver to cut the corner. The second shot is played on a severe downhill slope. 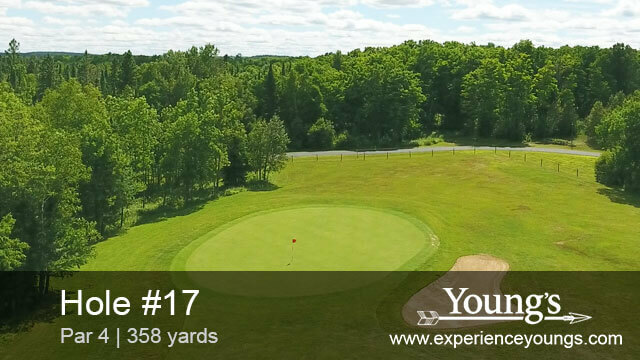 Description: This is one of the largest greens in the Upper Peninsula. Avoid the pond along the left and the fairway bunker on the right. Description: With woods on both sides, this is one of the narrower holes at Young’s. There is one fairway bunker on the right to avoid. The front of the green is guarded by two bunkers. There is also a fairly large false front on the green. Description: This hole is the hardest handicapped hole at Young’s. 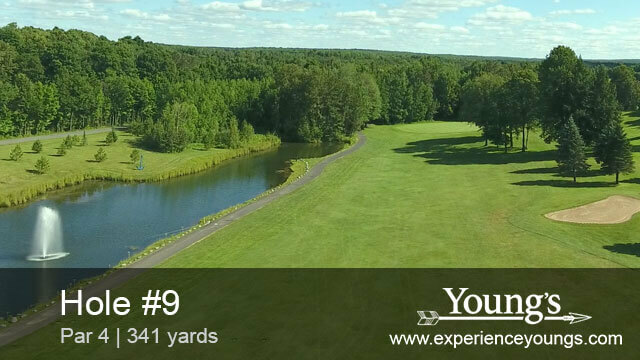 A 200-yard tee shot will set you up well on this extreme dogleg left. Your approach shot will be with a long iron or wood over Wagner Creek. This is the only hole at Young’s without a bunker. Description: You can lay up with a 200-yard club or use the driver to hit up and over trees and Wagner Creek. If you make it over the creek you will have a fairly easy birdie hole. Description: A totally blind uphill par 3 makes this hole very challenging. Once on the green, you will notice the extreme back-to-front slope. Be cautious when putting. Description: A narrow driving hole with two right-side fairway bunkers. If you manage to find the fairway it is a short iron shot into a fairly flat green. 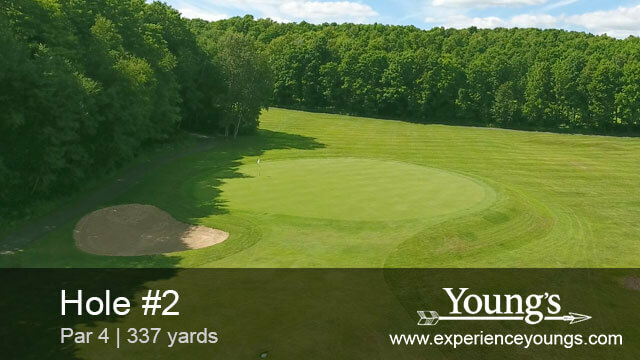 Description: This tee shot is a risk-reward – lay up with a long iron or swing away with the driver. Avoid right-side trees in the rough. For most, the second shot will be a layup just short of the fairway bunker. The third shot is into an extremely elevated green. Avoid missing long or right. 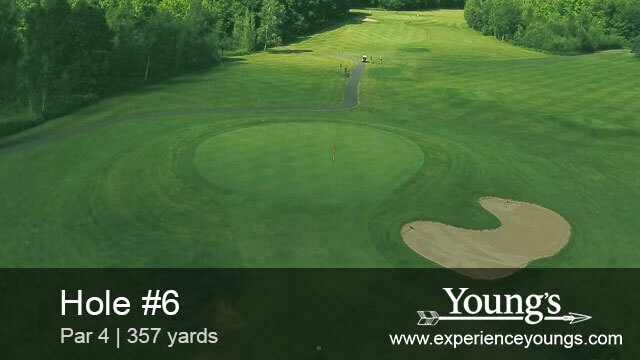 Description: For the long hitter, this is a reachable par 4 as it is played downhill. You will need to determine if you will lay up short of the fairway bunkers or try to fly them with your driver. This hole is the easiest par 4 at Young’s. Description: You can choose to hit your driver over the corner of the trees, or you can lay up somewhere by the fairway bunker. Second shot is into a green that is sloped from back to front. The green is guarded by one fairway bunker to the right. 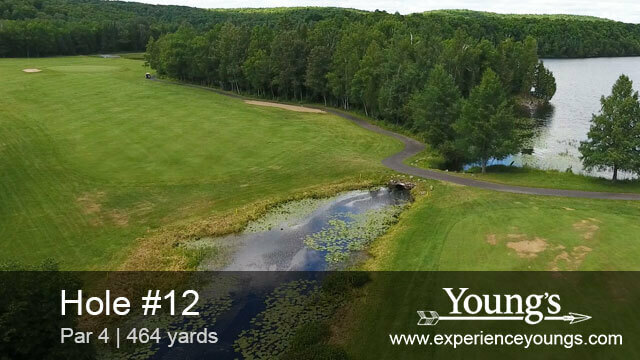 Description: This par 3 plays slightly uphill to a large green. The green is also sloped from back to front. The only dangers on this hole are the three bunkers around the green. This is the anchor location for Membership and Rates. Do Not Delete! 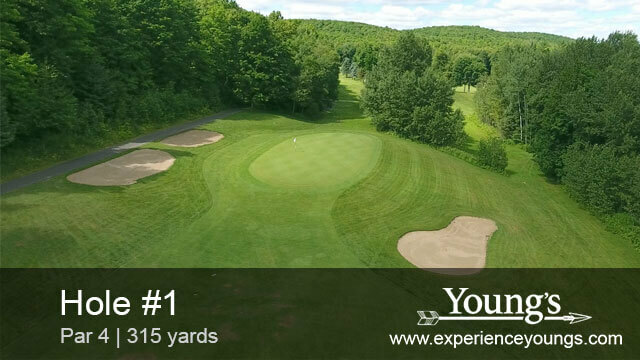 The Young’s golf experience is designed for golfers of all ages and skill levels. 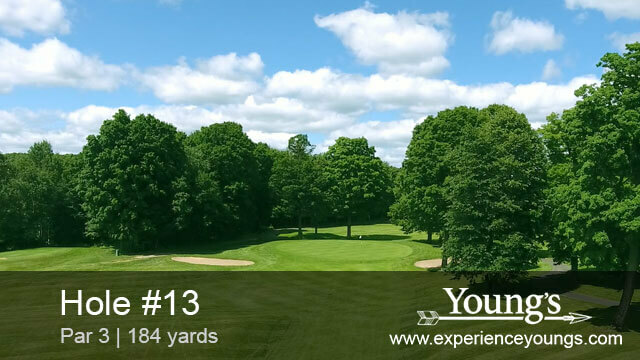 For the casual or novice golfer, Young’s is a great place to improve your golf game, where each of the 18 holes call for a different approach. The Young’s course is also a regional destination for championship golf, offering advanced golfers challenges such as blind greens, doglegs and deep bunkers. After your round of golf, come back to the clubhouse to relive the drives, chips and putts over drinks and a great meal at the FireBrick Bar & Grill. 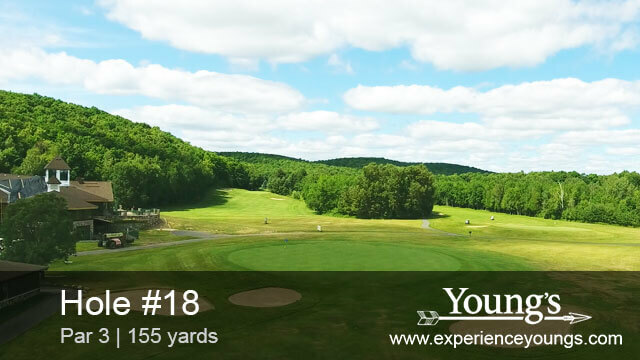 Play Young’s 18-hole championship golf course as often as you like as a Golf Membership holder. Memberships are available for individuals, couples, families, and college students. Young’s Golf Members also enjoy 20% off on regularly priced merchandise in the Pro Shop (excludes sale merchandise, food, and beverages). Enjoy championship golf at a great value! See additional details below pricing table for applicable restrictions and rules of play. Young’s offers far more than golf! We have miles of recreational trails for hiking, biking, skiing and snowshoeing; an Aquatics Center with lap pool, jacuzzi, and sauna; lakes and waterways for canoeing and kayaking and so much more! 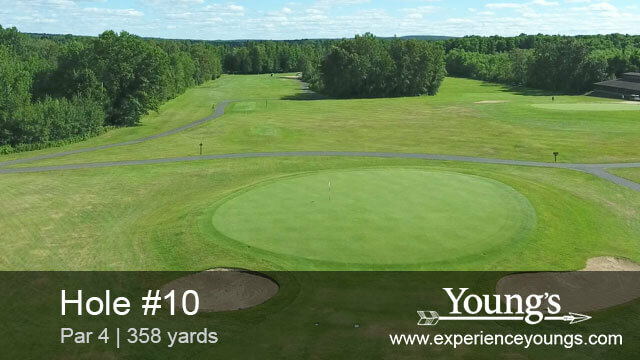 Check out our All Season Memberships for unlimited access to Young’s 3000+ acres of golf and recreation! **$400 per employee on Corporate Golf Membership. Benefits include the discounted membership rate, 20% off in Pro Shop, employee's guests play at reduced rate, access to Young’s event venue with no rental cost (restrictions apply). Call us today at 906-265-3401 to learn more. Singles and twosomes will be paired with other players to complete foursomes on the tee sheet. This will be done at the Pro Shop's discretion based on tee sheet levels, but will be enforced on the busier days of the week (weekends, etc.). Those with a once-a-week membership cannot play on Fridays and Saturdays. Members can only book tee times 2-weeks in advance. Young's strictly enforces a no carry-on policy. Per state law, under no circumstance are guests allowed to bring in their own alcoholic beverages. If a guest or member is caught with their own beverages they will be suspended from the course for a week. If they are caught a second time they will be suspended for the remainder of the season. No refunds will be issued. This is the anchor location for Golf Outings. Do Not Delete! Small groups, large groups, and tournaments receive guidance from our professional tournament coordinator who offers pre-event consultation and planning to make sure your outing is a success. We’ll build a package that specifically meets your needs. A small group golf outing is a fun way to celebrate with members of a wedding party, a bachelor or bachelorette party, class reunion or family gathering. Blue skies, sunshine and friendly competition on the links make any day more memorable. Larger groups will receive personalized attention to plan a seamless experience. A golf tournament or outing offers a perfect backdrop for informal negotiations, sales pitches, or team building. If your group is having a meeting or conference at Young’s, a round or two of golf is a must. Each year, we support the efforts of local associations, schools and non-profits by hosting tournaments that raise money for important causes. Our experienced team will help you plan a fundraising event that’s both fun and fruitful. Are you new to golf or just looking for a low-key, relaxed experience? The increasingly popular Social 10 is casual, unintimidating, and perfect for a group with mixed abilities. This is the anchor location for Golf Events. Do Not Delete! This is the anchor location for Book a Tee Time. Do Not Delete! This is the anchor location for Pro Shop. Do Not Delete! Young’s management and staff are here to make sure you have a wonderful Young’s experience. Stop by the Pro Shop to check in for golf and trail use, and browse through our selection of name-brand golf equipment, apparel and accessories. 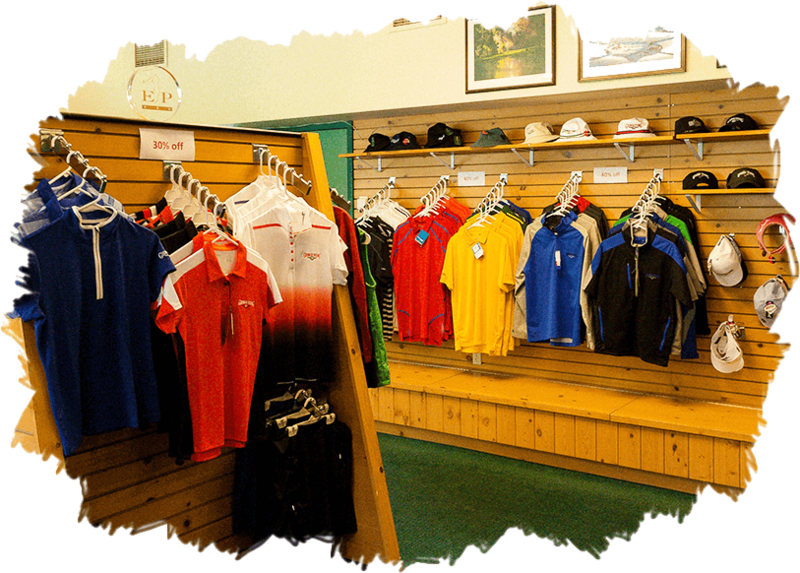 Our friendly and knowledgeable staff will take care of all your golf needs.